Conflicted about the role of (in)fidelity in relationships? The author can relate. She's been on both sides of the fence and has learned a thing or two - or three. Relationships can be tricky. Infidelity prevention is key. Authentic, nonjudgmental, conversational, informative, concise, and witty, this book is easily heard and understood. It promotes reinvigorated education, self-awareness, personal accountability, and growth. Find help negotiating mindsets and minefields via commentary, personal stories (including the author's own), examples, statistics, and surveys for examination. 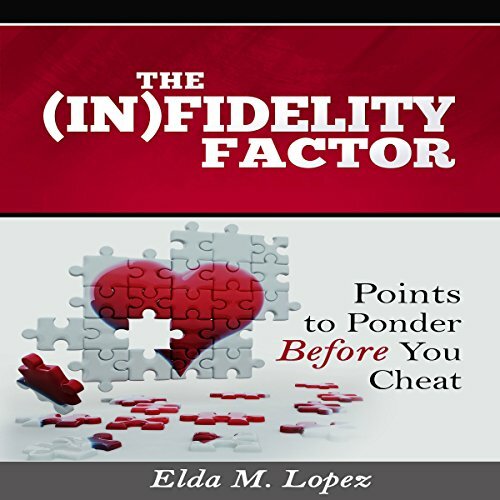 Guidelines are highlighted to underscore the benefits of preserving integrity and respect before falling victim to the harmful backlash - and whiplash - of infidelity. Relationship joy can be achieved through forethought and conscious steps taken toward realizing this goal. No more cheat, defeat, repeat. This is your call to action, no matter which side of the fence you find yourself. Get reading, get healthy, get happy. This is where the change-up begins!